Made from beautiful chromed brass with ceramic valves. I installed mine fed by a pressure regulating valve set at about 2.5 bar. This gives a perfect flow without the spray being too aggressive and maintains the spray pattern whatever is happening with your water supply pressure. Auto prompt valve is excellent quality and ensures hose is depressurised after use. Highly recommended product. Very nice finishing, easy to use. The water prompt shutoff valve makes it the best. The product is absolutly super heavy quality. And the auto prompt shut off valve is top. The order came through quickly and well packaged. The bidet tap looks like its of a good quality. 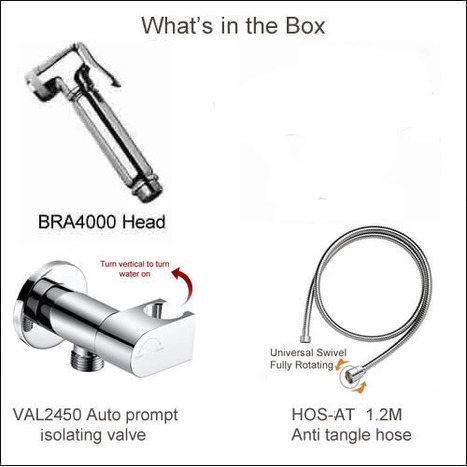 BRA5600: Elegant design, beautiful crafted in Mirror Chrome finished A Grade brass, with chrome high pressure ant-tangle hose and mirror chrome walll mounting bracket with integrated Auto Prompt Shut Off water isolating valve. 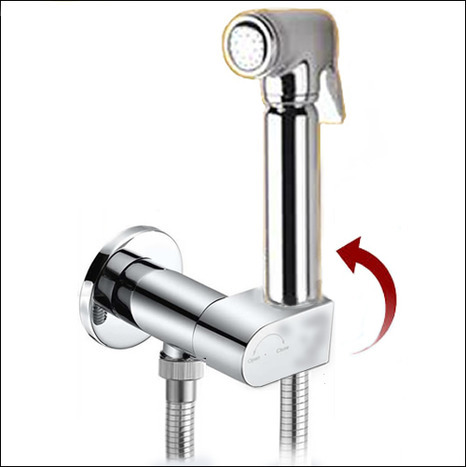 BRA5600: Quality High Pressure Chrome Finished Bidet shower with matching mirror chrome Auto Shut Off water isolating valve. 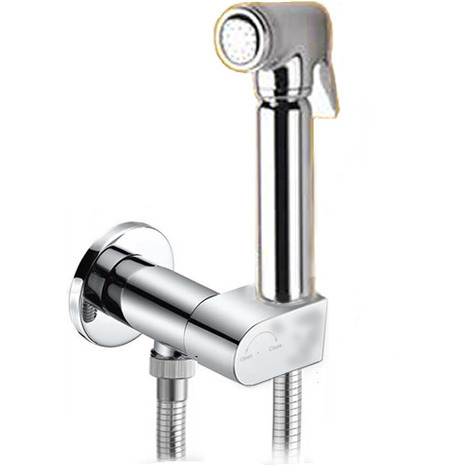 Elegant in design, beautiful crafted in A grade chrome finished brass, with high pressure ant-tangle mirror chrome hose and matching chrome Auto Shut Off water isolating valve. BRA4000 Italian Bidet shower head with water control trigger manufactured in A grade chrome finished BRASS, weight of shower head, around 350 grams..